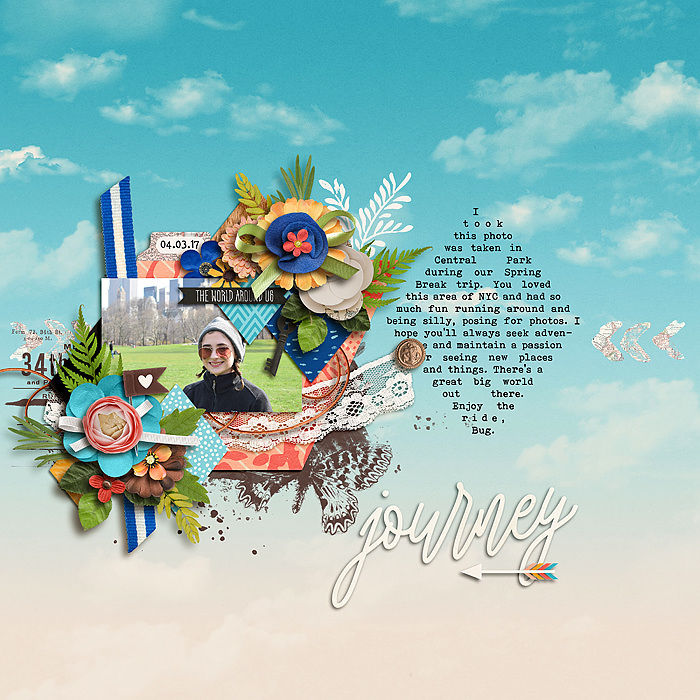 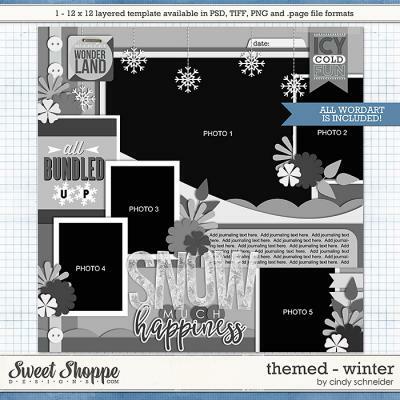 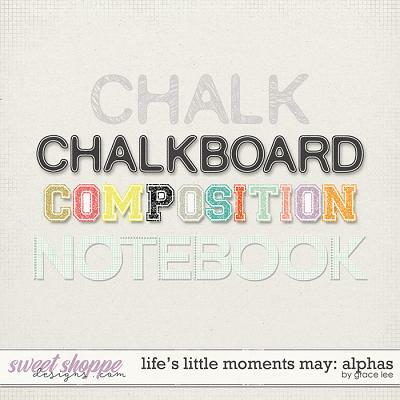 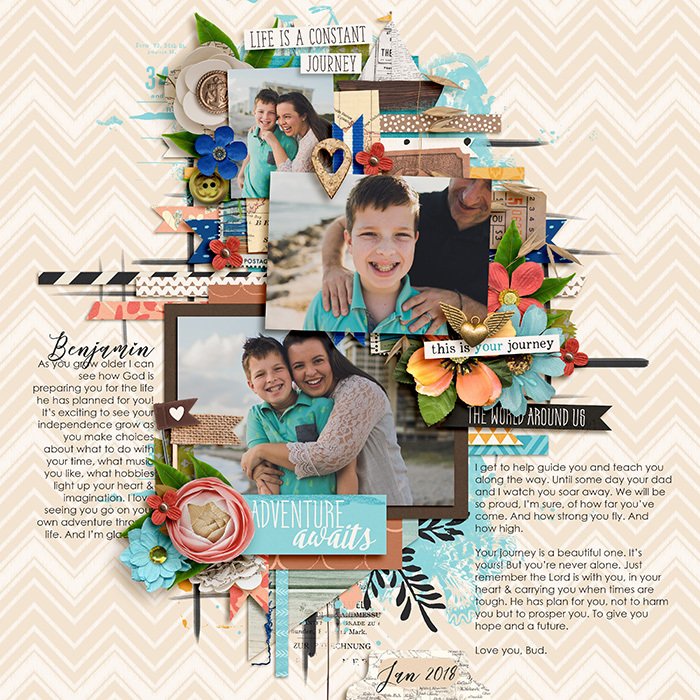 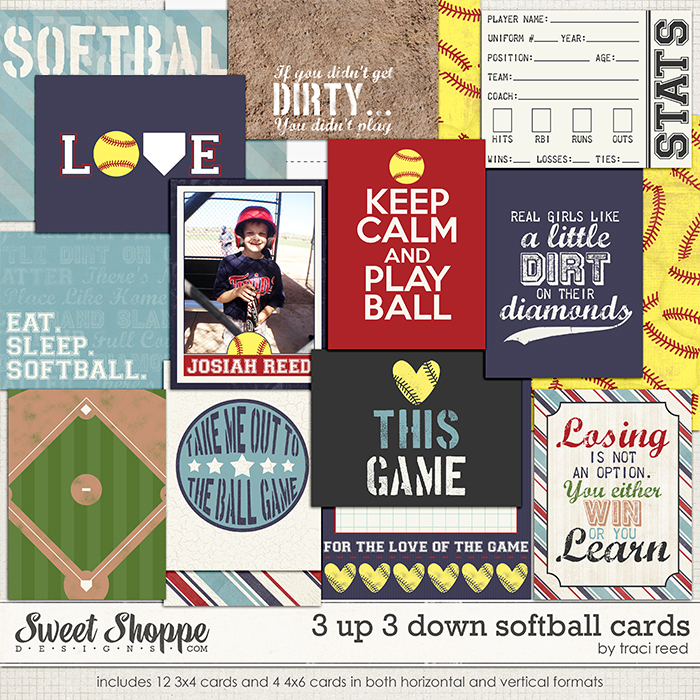 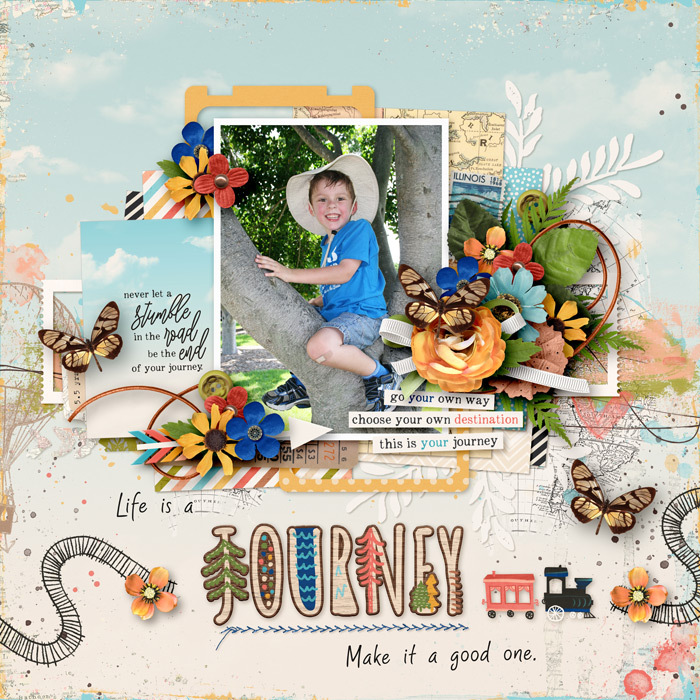 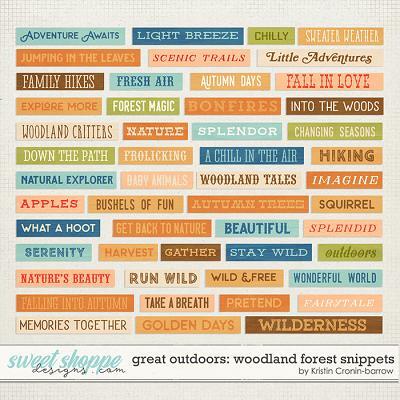 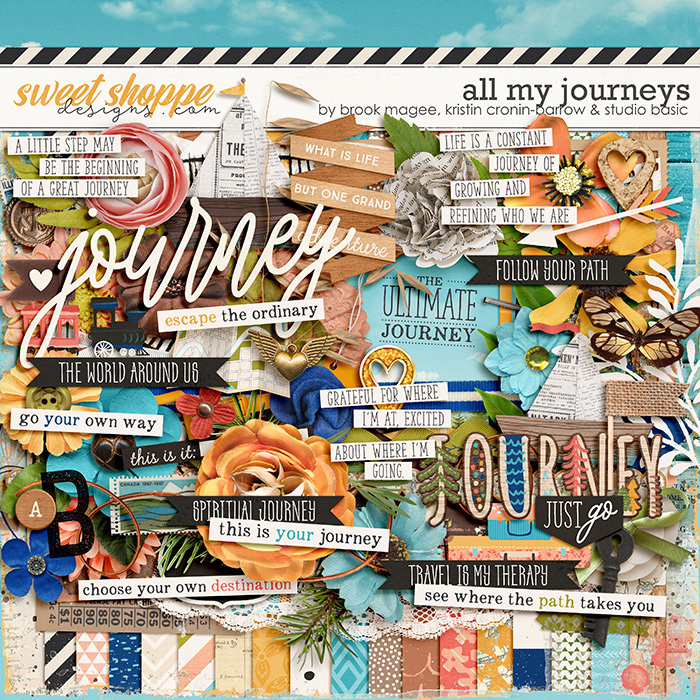 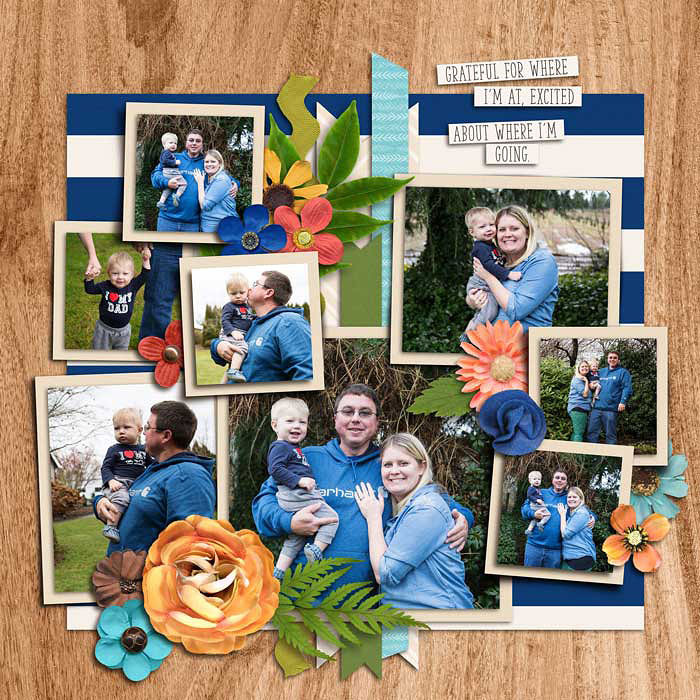 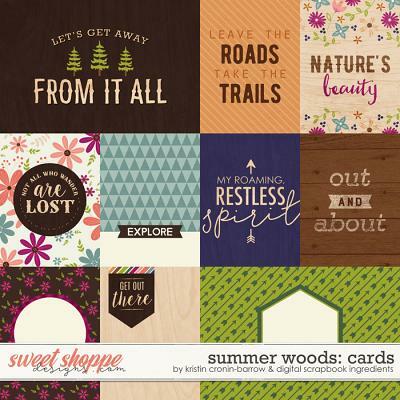 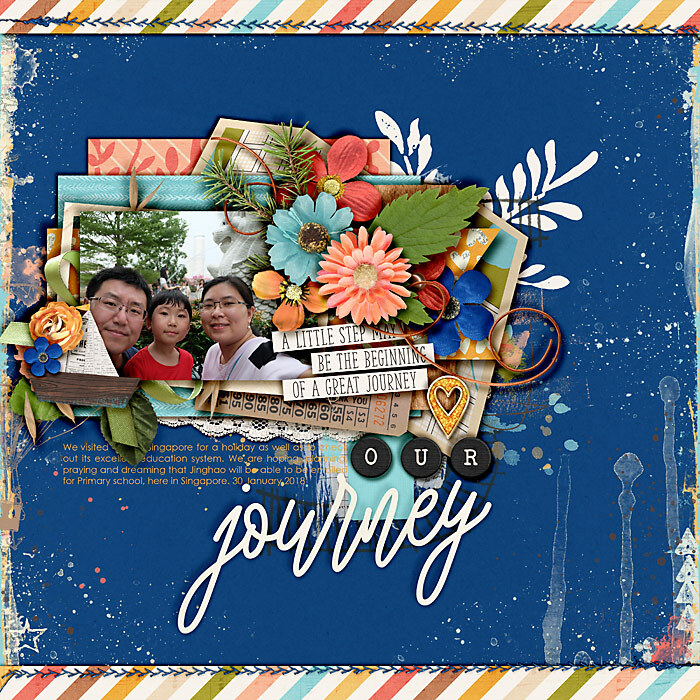 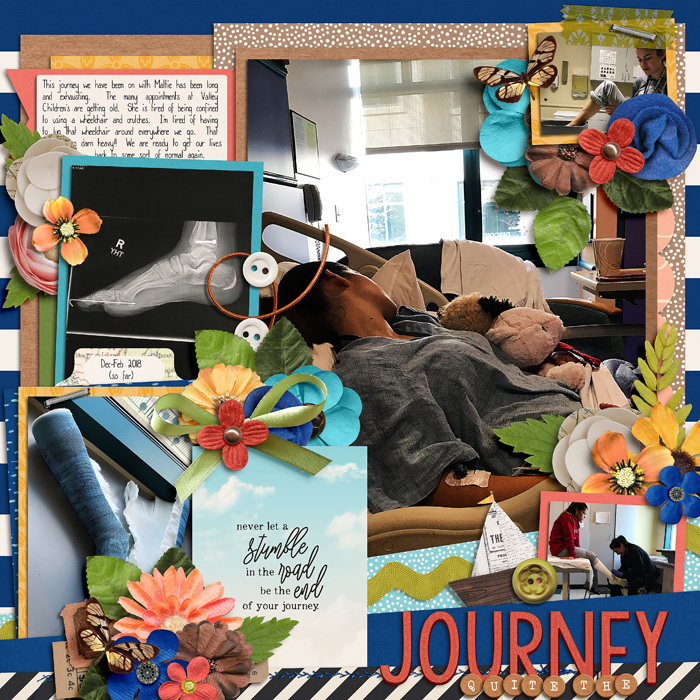 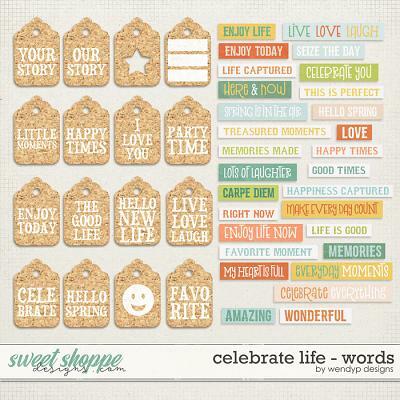 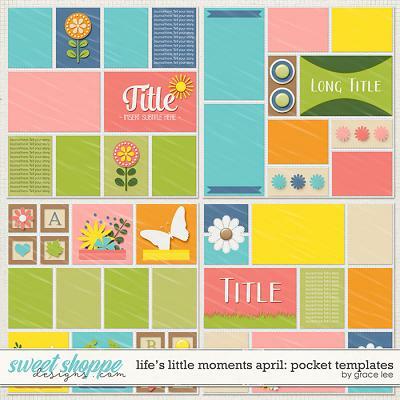 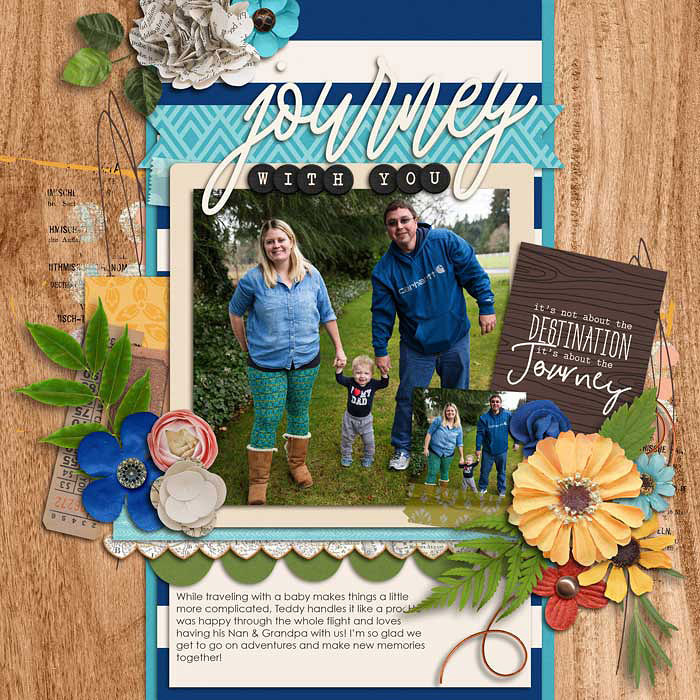 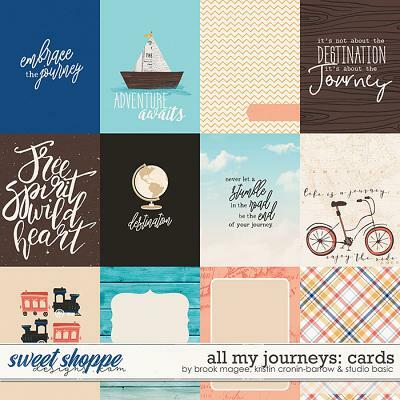 A digital scrapbooking kit by Brook Magee, Kristin Cronin-Barrow, & Studio Basic Designs, ‘All My Journeys’ is a sweet vintage-style celebration of where you have been and where you’re going. 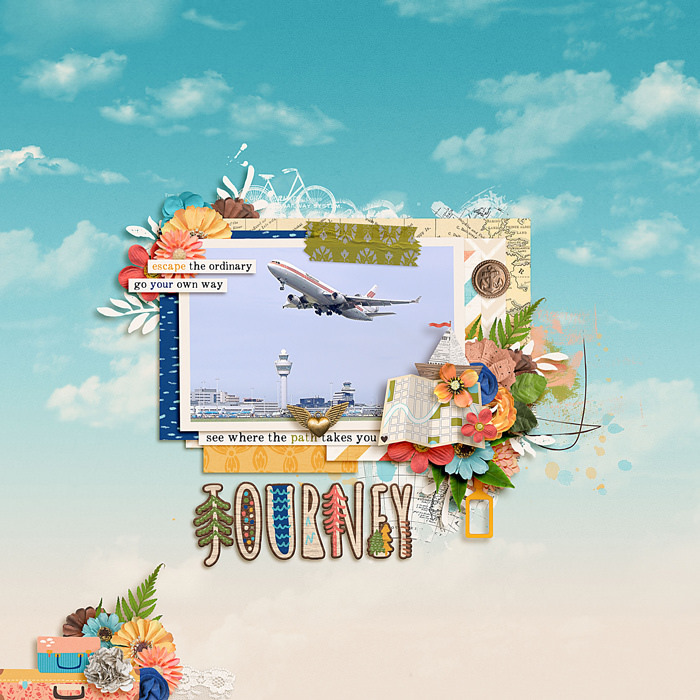 ‘All My Journeys’ contains: 19 patterned papers (plus 5 alternative versions), 14 background papers, 100+ elements and 3 alphas (A-Z, numbers 0-9, and some symbols. 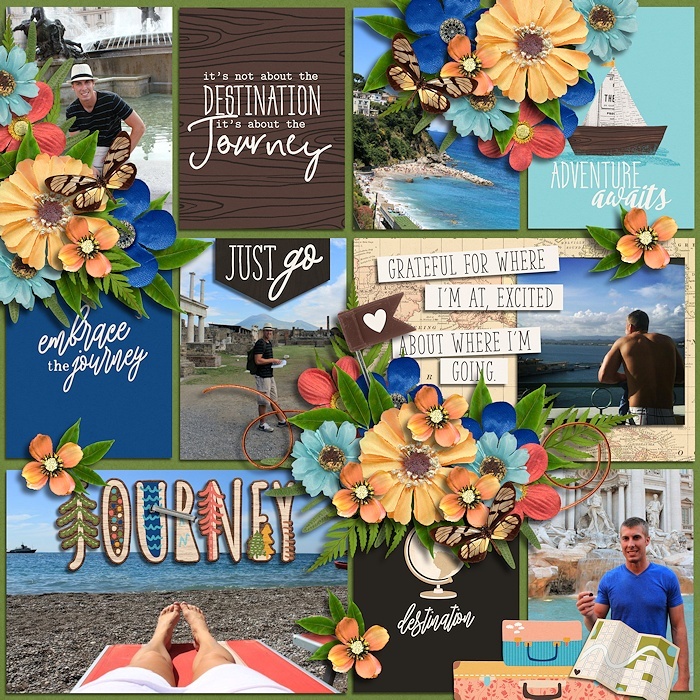 Saved on png sheets).